Head of the Centre for Prevention of Violent Extremism Johas Trolle has told Dagens Nyheter newspaper that a discussion with the municipalities on how to proceed further will be held in late April. It will include the participation of the healthcare system and involve psychiatrists. 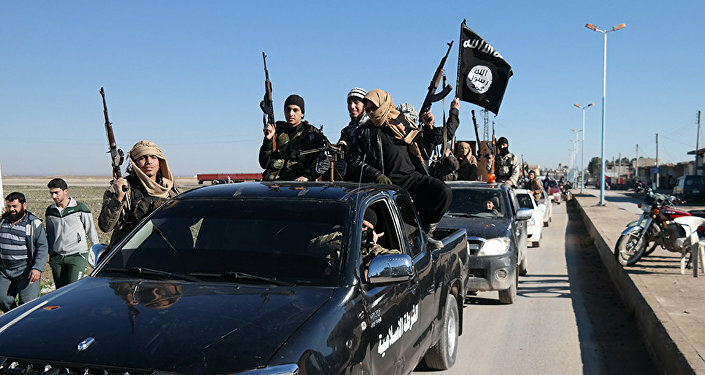 Sweden has already received dozens of former ISIS[Daesh] fighters, but only one case resulted in a trial and conviction. However, Trolle warned that some new returnees may be ideologically motivated. Last week, the Centre held talks with Save the Children to discuss treatment strategies that could be used to assist the returning children. Sputnik has discussed Sweden accepting former Daesh fighters with David Otto, the Director of Counter Terrorism and Organized Crime for Global Risk International Ltd and the Preventing Radicalisation and Violent Extremism Programme — Step In Step Out (SISO), based in the United Kingdom. 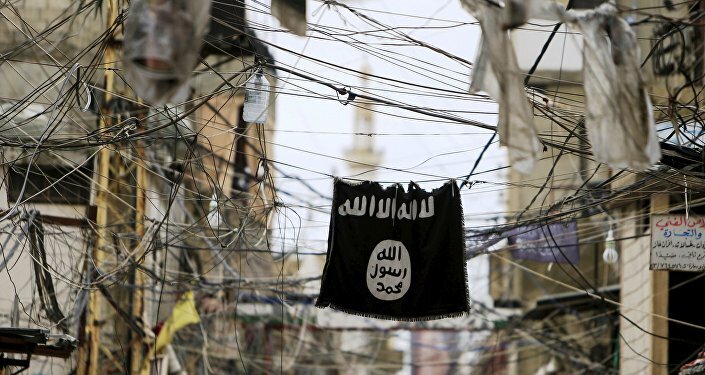 Sputnik: According to media reports, only one case of a former ISIS[Daesh] fighter in Sweden has resulted in a trial and conviction. What are your thoughts on that, given the perspective that they are going to have so many returnees now coming back? What do you think the fate of those returnees will be? David Otto: Well, of course, in the case of Sweden, Sweden had almost 300 foreign fighters who went to join the Islamic State[Daesh]. And one of the setbacks, which a lot of European countries, as well as Sweden, faced at that time and continue to face, is that nobody knew or didn’t think that these Jihadist fighters would be coming back. It was assumed that it was a one-way ticket. So, there was very little in terms of intelligence gathering of activities that were done by these European countries as well as Middle Eastern countries to monitor the activities of the Jihadist fighters that went to the Islamic state. But eventually, now that they are returning back and some of these activities are not known, the evidence is very rare for them to be convicted using the judicial system. So that accounts for one of the reasons why a lot of European countries that have accepted returning foreign fighters like Sweden, find it very difficult to gather any evidence that would lead to a conviction. So the conviction rate is very, very low and it is very concerning for a lot of European countries because they don’t just have the evidence to convict them. Sputnik: Right. I believe that some countries are much tougher as far as taking returnees. For instance, the UK has in some cases stripped people of their citizenship. Which approach do you think is the most appropriate? How should a country really treat an ISIS[Daesh] fighter? I mean, to what extent are they an inherent risk? David Otto: As you rightly mentioned, this is a knee-jerk reaction from a lot of states, including the United Kingdom. The UK actually stripped Shamima Begum. That was kind of a media-frenzy case because she wanted to come back to the UK with a newborn. But of course, this is not the best way to treat returning foreign fighters. Of course, the issue has been countries not knowing exactly what kind of measures to put in place because as I have said earlier on, a lot of countries believe that Jihadist foreign fighters that were exported – I will use the word exported — to Syria and Iraq because there were no sufficient prevention measures that these European states put in place. A lot of them just believe that once the fighters go to the Islamic State[Daesh] they will either be killed there or will remain there forever. But now, the knowledge that these guys would have to come back to the various states has led to the decisions to reject and some of them have been stripped of their nationalities. But of course, this is not going to work, because even if you strip Jihadist foreign fighters of their nationalities, they have to go somewhere, they won’t disappear. And the risk is that once you do that, you are playing into the narrative of the Islamic State[Daesh]. It is like simply saying to anyone who was actually thinking about not getting engaged anymore, you’ll be saying to them: “listen, you have no place back in your country, you might as well remain a member of the Islamic State[Daesh] and fight for us and cause more havoc”. So, the best way to do this is for countries to put in place what you call disengagement and de-radicalisation protection programmes. So that they can receive these foreign fighters and look after them, treat them case-by-case, look at what kind of activities they have been involved in. This can be done proactively by involving some of the Syrian Democratic Forces, because they have been engaging these foreign fighters and they may have some kind of evidence for sure what kind of activities they have been up to. Sputnik: Other than the risk that those people actually were involved in committing crimes or war crimes, there is also a psychological impact from being in a warzone. I was wondering if you could comment on the degree that former fighters and their family members have psychological issues that need to be addressed and what the consequences of that could be? David Otto: First of all, let us be clear that not everyone who left for the Islamic State[Daesh] became a foreign fighter. A lot of them went there because they truly believed that this was some kind of a chaos, a Muslim state where they could live their lives as true Muslims. And some people went there to get themselves jobs. Some people just went there because they'd rather stay somewhere where Sharia law was practised. Not every person who travelled to the Islamic State[Daesh] became a foreign fighter. But, of course, these categories of people that did not become foreign fighters, who had their families there, who were members of families, they would have experienced some kind of brutality. I mean we know in the late case of Shamima Begum that she had actually seen a severed head in the bin and that means it would have some kind of a psychological impact. But whether that psychological impact is going to be affected when they don’t return is another matter. Because in my view, some of these guys believe that some of the practices that the Islamic State[Daesh] carried out were somehow in line with being a true Muslim which, of course, is ridiculous. But I think as you might have said, that governments have to put that into context, and that would be a part of what we call the deconstruction and de-radicalisation process, whereby individuals would go through psychological programmes just to assess the scale of their mental abilities to see whether they have some kind of issues living in normal societies and getting involved in such activities. But it is important that it is treated on an individual case basis. Views and opinions expressed in this article are those of David Otto and do not necessarily reflect those of Sputnik.